The Data Analysis Group is a Melbourne based business offering a comprehensive range of advanced data analysis and modelling services. The Data Analysis team are a highly experienced, dynamic group of professionals specialising in extracting practical insights from your data, building models that predict where your organisation can create value and developing algorithms to solve pressing issues. Organisations are able to discover new insight into their operation, improve productivity and boost performance. We use a consultative approach, working with you and your team. Consultation and Research. We actively listen to understand your data analysis needs, wants, problems and concerns, so that we can formulate the optimal solution for your situation. Project Specification. Clearly define the project objective, scope, approach, timeline, deliverables and stakeholder engagement plan. Data Collection. 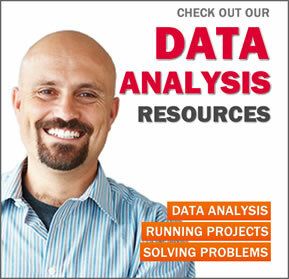 We help you source, collect, integrate, clean and store your project related data. Value-adding data can also be appended if required. Data Exploration. Understand your data through exploration; determine its main characteristics, deficiencies and suitability for creating value. Data Analysis and Mining. Analyse your data with graphical, numerical and statistical methods to identify useful patterns, abnormalities, relationships and trends. Build and Test Predictive Algorithms and Models. Transform findings into easy-to-use model or algorithm. Keep you informed. We regularly present our analytical results and progress to your key-stakeholders, throughout the duration of the project. Train Your Staff. At project completion, train your staff on how to use and maintain any models and algorithms. Fast Time-to-Benefit. Our fees usually small in comparison to the savings or additional profits that our projects produce for our clients. Cost effective. Gain access to skilled data analysis geeks, without the overhead associated with building and maintaining your own internal infrastructure and team. Innovative, yet pragmatic solutions. We find clever ways to extract useful info out of incomplete, disorganised and unwieldy data and have the quantitative rigour to generate innovative yet pragmatic value-adding solutions . Insightful analytics, with no BS. It’s our sincere desire to be helpful, to add significant value to your organisation through our data analysis methods. Our livelihood depends on keeping our promises and fulfilling this trust to maintain our long lasting client relationships. Geeks who understand business too. Although we are passionate data analysis geeks, we are also sociable business people with extensive industry experience. Communicate clearly: We pride ourselves on our ability to clearly communicate our findings. We don’t consider the project complete until our clients completely understand our findings and the approach we took to get there. Connected to major universities. We have relationships with leading practitioners at major universities and business schools within Australia. This provides us with ready access to extensive expertise and to the latest data analysis developments. Outsourcing options available. Where applicable, project elements can be outsourced to our trusted India-based analysis partners to further reduce project costs. If you have data and a question, challenge or opportunity, we can help. We’ve been around since 2005 and worked on a diverse range of projects. Call us for a friendly discussion on 1300 788 662 or submit the form below.